This comes in especially handy mornings you wake up with a foggy memory and lost wallet. Or, if you ever were to need an alibi with timestamp included for whatever reason. 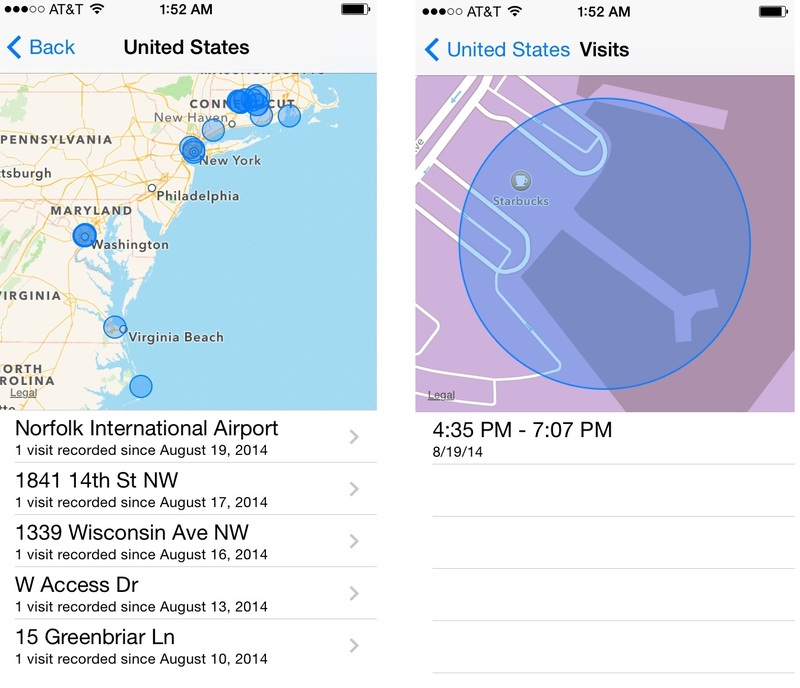 iOS 7 tracks where you have been to help personalize features such as the Notification Center and Maps. This leaves you with a collection of data showing where you were and for how long. The screenshot on the left shows my location during the week of August 11th. When I selected “Norfolk International Airport”, I am brought to a page that shows duration of stay. If this creeps you out, the feature can be shut off from the System Services page. You can find it: Settings –> Privacy –> Location Services –> System Services –> Frequent Locations. This feature silences incoming calls and notifications until you are ready to view them. You can customize the feature to allow calls from favorites or specific contacts as well as schedule a recurring time. Quitting apps after usage is the best way to save precious battery life. With iOS 7 you can quit multiple apps at once by double-tapping the home button and swiping up with multiple fingers. Choose which method of communication you wish to block from a certain contact (Messages, Phone or FaceTime) and hit the (i) info button. Then scroll down to the bottom of the contact information and select “Block this Caller”. For help with DIY projects, access a level by swiping right in the Compass app. Charge iPhone on “Airplane Mode” for a faster charge. Now the iPhone can read text to you in Mail, Safari, Messages and iBooks. Highlight the text you want to hear and hit “Speak”. Tap the microphone at the bottom of the keyboard in an email or text message to have your words translated to text. Note: only works when Siri is enabled. There is no excuse for not knowing the definition of a word. Highlight the difficult word to bring up the options menu, then hit “Define”. Hold down the camera button to engage burst mode. Burst mode will snap 10 pictures per second for as long as the button is depressed. Then, you can view pictures side by side to choose your favorites. 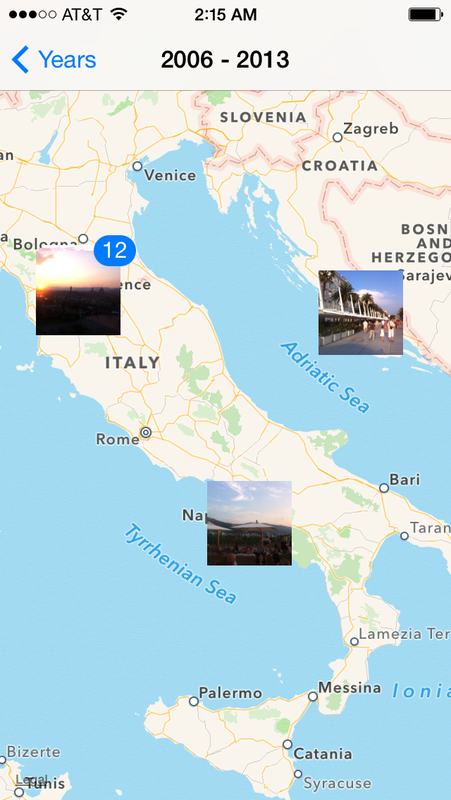 View your pictures on a map by tapping the location under Years, Collections or Moments.